Are you looking for Digital Gujarat Scholarship or Something like How to register or login in Digital Gujarat Portal? So, you are in right place to find the best details for Digital India Scholarship. Using this www.digitalgujarat.gov.in site people can apply for various services, such as ration card. Initially, the services available through the app would include procurement of ration card, senior citizen certificate, caste certificate, domicile certificate, income certificate, widow certificate, SC/ST certificate, non-creamy-layer certificate and religious minority certificate. How to Register Digital Gujarat Online Scholarship? National Scholarships Portal is a one-stop solution through which various services starting from student application, application receipt, processing, sanction and disbursal of various scholarships to Students are enabled. National Scholarships Portal is taken as Mission Mode Project under National e-Governance Plan (NeGP). First, open the www.digitalgujarat.gov.in official website. Now click as you wish your Scholarship category. Now Select Caste, Sub Caste and click on show. After that, Select Edit and Click on Proposal from GREED. Now select page (1,2,3,4,5,6,7,8,9) One by one, Then click on Edit. Then Click on Add to Proposal From Greed. Now All the Student Which are Included in your selected Scheme is ADDED. Now you see your Scholarship Darkhast & Amount. That's It!!! You have successfully registered Scholarship in Digital Gujarat Portal. After completion of successful submission of application, a citizen doesn’t need to go/visit at nearest JSK/ATVT center to verify profile/document. If you have any question or any issue related Registration? Here's a Frequently asked question (FAQ). You can find your questions answered below. A post matric scholarship is a scholarship which is granted to students by the welfare departments of the Government for enabling eligible students who have passed the 10th class(SSC examination) to pursue post matric studies such as 11th,12th, ITI, Polytechnic, Professional courses, graduate and postgraduate courses, Ph.D. etc. Gujarat State bonafide students, studying within the state or outside the state, within India, having valid AADHAAR (UID) Credentials and fulfilling the Scheme-specific guidelines are eligible to apply under these scholarship schemes. For Post Matric Scholarship: In case of scholarships for the year 2017-18 students can apply online up to 15th November 2017.The time schedule notified vide newspapers and digital Gujarat portal from time to time. Yes. An Application ID will be provided to the candidate once his /her application is registered It will be conveyed to candidates through SMS and e-mail. Students should note their Application ID as it will be required in future. Yes, for the first time in the year 2017-18 every student have to apply as a fresh candidate. Aadhaar Card Number is mandatory for the Students in order to fill up the application form online. Students can also apply for Scholarship entering the Aadhaar no. Yes, you can fill up the online application in as many as sitting as you wish until you are satisfied that you have entered all desirable fields correctly. The software provides facility to save your application at every stage until you click on the final button. The student will contact their respective institute. Fields provided with a red asterisk (*) mark are mandatory fields. You should separately inform the mistakes detected by you to the Officer of your Institute. The institute has to back the application as an incomplete application and then the application will be available to the student for editing. Q .14 Can I take print-out of my application at any stage?  Printout of the application can be taken with “Barcode”, after locking and forwarding the application which is to be submitted to the Institute. YES The system has the facility of uploading the scanned copy of the Certificates, like Caste Certificate, Income Certificate, Fee Receipt, Disabled Certificate(If any), Hosteller Certificate, Copy of first page of passbook( showing IFSC code of the Bank & Bank account number)However, the student has to submit self-attested copies of requisite documents with print out/hard copy of application. After locking and forwarding the application online to the institute, you should take a print out of the application (this would come with a barcode), sign it and submit it to the Institute with documents. 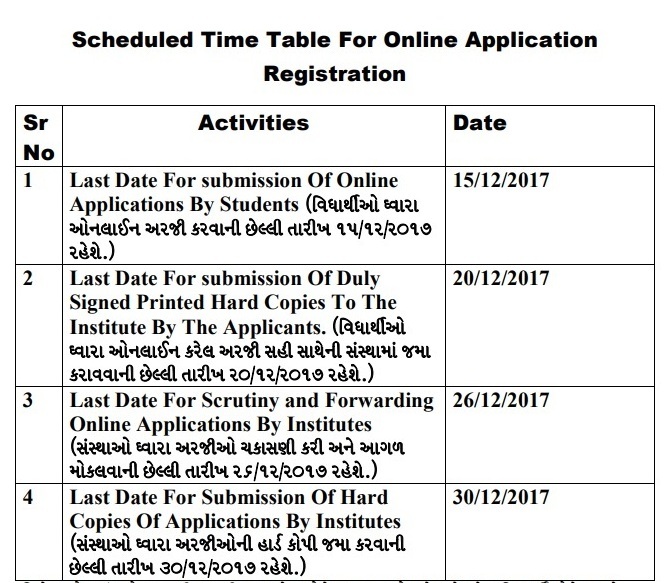 Unless the date is extended you cannot apply to the Digital Gujarat portal will not allow registering so please do it in time. A student can check the status of the online application by logging with his/her login details. You can approach your institute and inform about the error. You have to approach your institute and inform about the error so that there will be a Permanent rejection of your wrong application. 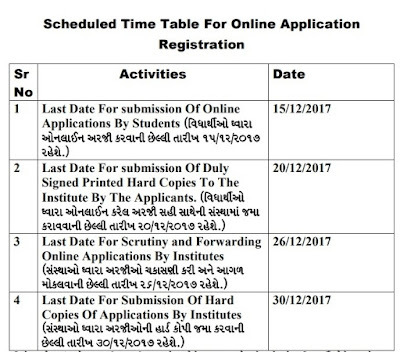 Fill up your application online on digital Gujarat portal and submit the filled up application along with all the documents mentioned in the portal at the district respective Officer of the native district of the student. You can recover your password by clicking on the reset button. 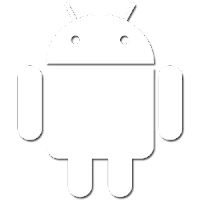 Your password will regenerate and SMS sent to your mobile number. Gujarat government is Digital Gujarat Scholarship Scheme More Official Details and Information go to official website. For more details visit below mentioned links.